Song of the Day #682: ‘Country Feedback’ – R.E.M. Three years after the success of Green, R.E.M. 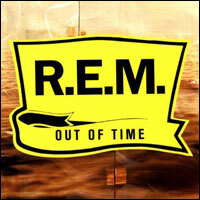 became superstars with the release of 1991’s Out of Time. Propelled by the runaway success of unlikely single ‘Losing My Religion’ (how many #1 songs feature a lead mandolin?) the album went quadruple platinum in the U.S.
Out of Time would prove to be R.E.M.’s pinnacle commercially, if not creatively. The band’s trajectory had been on the rise since their debut and this album helped them punch through the stratosphere. It also marked an interesting turning point for R.E.M.’s sound. Tagged Country Feedback, Out of Time, r.e.m.